You don’t need a super-smart car to drive intelligently. 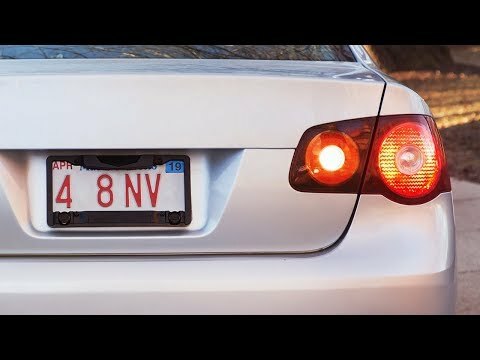 This license plate backup sensor uses ultrasonic detection to tell you when you’re close to something. It goes right over your license plate and pushes visual, audio, and vibration cues to your phone, alerting you when an object is close to the bumper. Installing it is super straightforward because there’s no wiring. The included security screws are unique to FenSens, so only FenSens owners have the screwdriver to take the license plate off. Once your frame is installed, there’s a button you can put on your steering wheel to instantly launch the FenSens app on your phone with one click. If it’s a car that different people drive, you can program it so multiple users can be connected to a single FenSens. Your car doesn’t need to have a backup camera to know what’s behind it. This simple hack makes your car a whole lot smarter. How does it work and is there anything I should know about setup? FenSens chose to just include sensors because many people prefer the actual distance readings and sound alerts, which cameras don't offer. They also wanted to keep a focus on affordability and simplicity. The camera adds cost and complexity. 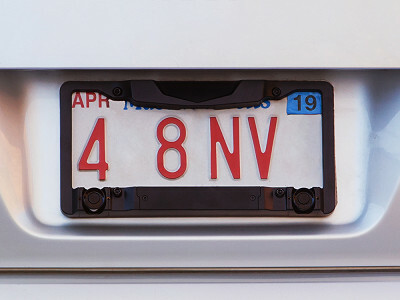 The sensor will work for both the front and the rear license plate. The FenSens device allows for an automatic launch via the press of a button on your steering wheel or gear shifter or through the app. The Android app starts providing you feedback without you having to do anything and the iOS app works by simply clicking the push notification you receive. FenSens comes with a set of security screws. FenSens owners are the only ones with the unique (included) screwdriver that can take it off the license plate. Also, the device will allow you to register it with specific phones, making it useless for unverified devices. The battery lasts about 5 months and is a universal AA size. 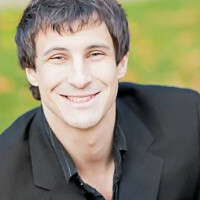 What is the effective range or object detection capabilities? The FenSens can detect objects about 8 feet away and guide you safely to less than 1 foot away from them. When an object is detected, the response is very quick, but please pay attention to any feedback warnings and always back up carefully. While FenSens helps assist in safe parking, please pause for one second, look behind to see if your path is clear, then move. What type of vehicles does it work for? FenSens is perfect for all consumer and commercial fleet vehicles not exceeding 30 feet in length. 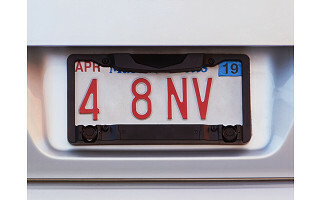 If your car has a recessed license plate frame above the bumper, you might need the FenSens Truck version, which has the sensors positioned at the top of the FenSens device. We advise the owner of any vehicle with a license plate frame higher than 3 feet off the ground to adjust the sensors using the sensor adjuster screw. You don’t need a super-smart car to drive intelligently. This license plate backup sensor uses ultrasonic detection to tell you when you’re close to something. It goes right over your license plate and pushes visual, audio, and vibration cues to your phone, alerting you when an object is close to the bumper. Installing it is super straightforward because there’s no wiring. The included security screws are unique to FenSens, so only FenSens owners have the screwdriver to take the license plate off. Once your frame is installed, there’s a button you can put on your steering wheel to instantly launch the FenSens app on your phone with one click. If it’s a car that different people drive, you can program it so multiple users can be connected to a single FenSens.